On/Site 2016 is a large scale architectural projection event that showcases video art, experimental film and projection mapping. The program explores the potential of media interventions to shape our perception of the built environment and highlight the social context of architecture. 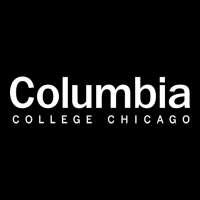 The event will take place as part of the Big Walls urban mural festival and Manifest, a Columbia College street festival celebrating of Columbia College’s student work. This year’s screening will include work produced by Columbia College undergraduate, graduate and faculty and will feature a selection of curated video art from the curators of Video Guerhilla in Brazil.